*an outcomes evaluation to ensure that the goals are being met and/or make changes to the intervention plan. 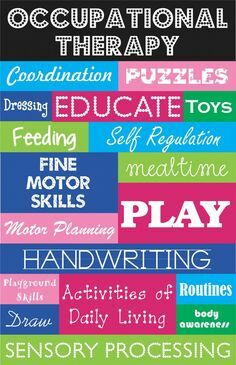 If you are interested in having your child evaluated for OT, call us today at 877-323-8482. For more information from The American Occupational Therapy Association, visit their website at https://www.aota.org/.